The committee members of the Scottish Brass Band Association (SBBA) have been busy over the past few weeks making final preparations ahead of the 2019 SBBA Learning Festival which takes place next weekend. This Saturday, 26 January, will see live streams from Annan Town and Whitburn Band performing renditions of two test-pieces ahead of the forthcoming Scottish Brass Band Championships. SBBA’s AGM will take place the following day at the Falkirk Stadium, followed by a series of workshops presented by a variety of high-profile names from the world of brass and percussion. In what should be a fantastic prelude to Sunday’s events, Scottish Champion Whitburn will appear live from its band hall at 3.00pm on Saturday, performing the 3rd Section test-piece, Sydney Herbert’s arrangement of Gustav Holst’s First Suite in Eb. Fresh from the exciting news of its upcoming involvement at the Challenge Section of this year’s European Brass Band Championships in Switzerland, last year’s Scottish 2nd Section runner-up Annan Town will showcase the 4th Section test-piece, Ray Steadman-Allen’s Stantonbury Festival, at 12 noon, also on Saturday (venue to be confirmed). Both live stream events are open to the public although spaces are limited. Anyone wishing to attend should contact SBBA Education Officer John Boax at johnboax14@gmail.com or on 07966486088. The Annual General Meeting will commence proceedings on the Sunday at 10.00am, with registration at the Falkirk Stadium open from 9.15am. Lunch will be provided for all delegates from 1.00pm until 1.45pm. Sarah Naish will get the workshops underway at 11.00am in Room 1. Sarah is the inspiration behind ‘SN Percussion’, a highly successful company which provides a range of prestigious and delicate instruments to bands and orchestras across the country. Sarah will deliver workshop sessions on the maintenance and general upkeep of bands’ percussion instruments, something that will ensure many years of use for every band organisation. 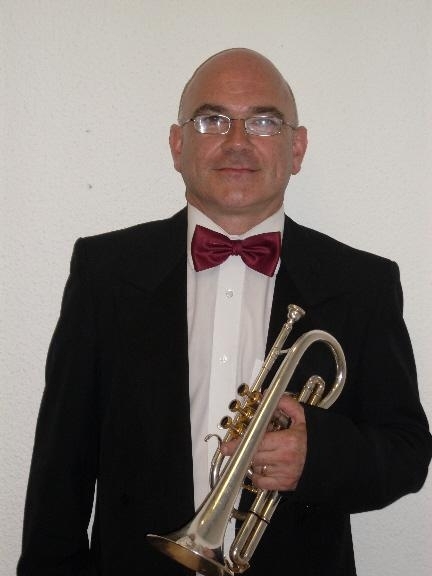 Chris Bradley, principal cornet of the Whitburn Band, will also be performing at the event. Here we have an opportunity to listen to one of Scotland’s outstanding brass musicians. Chris will pass on a wealth of experience and performance knowledge in his workshop sessions, a must see and hear for sure. Chris will appear in Room 2 from 12.00pm till 1.00pm and then from 1.45pm till 2.45 pm. Lynsey Paterson is a true home-grown talent when it comes to percussion and teaching and this year the Learning Festival is pleased to have Lynsey return to pass on more of her expertise about all things percussion. Lynsey will be in Room 1 for both afternoon sessions. 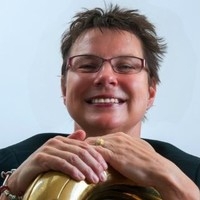 Last but by no means least, educator Helen Minshall will deliver afternoon sessions from Room 3 entitled ‘Band in a Box - Recruiting and inspiring the next generation of brass players’. Helen Minshall has a vast amount of experience both as a performer and teacher. Over the last 30 years she has held teaching posts throughout the North West of England, and in 1988/9 she spent a year in the Sultanate of Oman, as Low Brass Tutor to the Royal Oman Symphony Orchestra. Helen is now pursuing a freelance career and has set up a very successful music teaching company, Minshall Music Limited, with her daughter and son in law, Samantha and Neil Raisbeck. The company delivers high quality brass tuition in a growing number of schools in Salford and Bolton. Helen, not forgetting her Scottish roots, is delighted to be invited to deliver sessions at the SBBA Learning Festival. All in all, an exciting weekend lies in store. SBBA is hoping that as many as possible take advantage of what’s on offer at the 2019 Learning Festival.